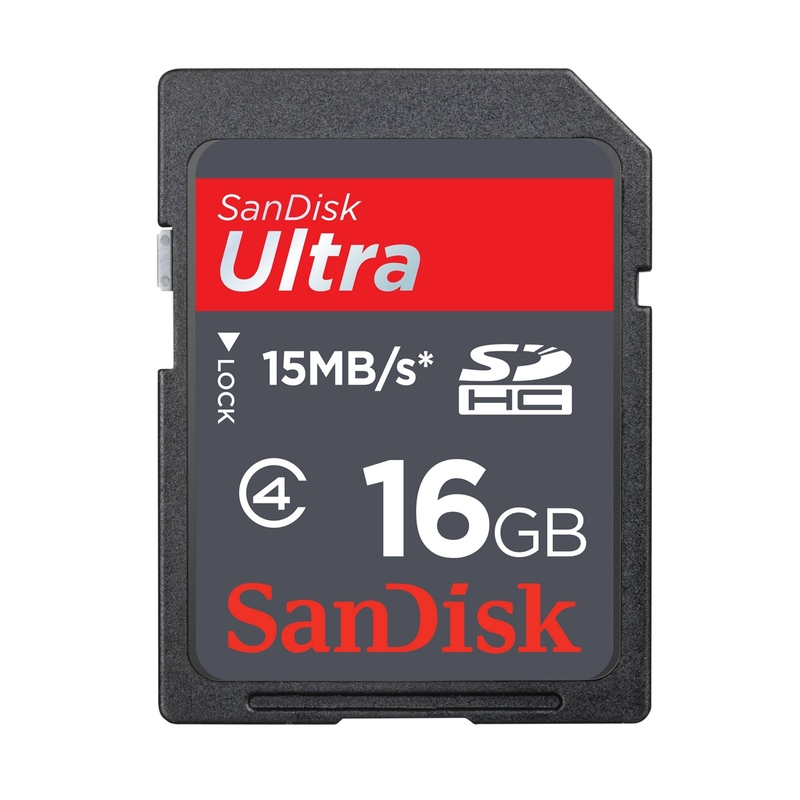 Combining fast performance and generous capacity, the SanDisk Ultra SDHC memory card is an ideal storage choice for compact to mid-range point-and-shoot cameras and camcorders. This versatile card offers twice the speed of an ordinary memory card, so you can take more pictures with less lag time. These cards come in a variety of capacities and feature a shock-resistant, water and temperature-proof design. SanDisk Ultra SDHC and SDXC UHS-I cards have plenty of room to accommodate high-resolution image formats, such as RAW and JPEG. Available in sizes up to 64GB, these cards can store thousands of photos and all your favorite video clips. SanDisk Ultra SDHC/SDXC UHS-I Cards are designed to handle whatever life throws at them. These cards are shockproof, X-ray proof, and waterproof. The card operates in temperatures ranging from -13 to 185 degrees Fahrenheit, so you can capture memories in almost any climate. Your SanDisk memory card will survive, even if your camera doesn't. 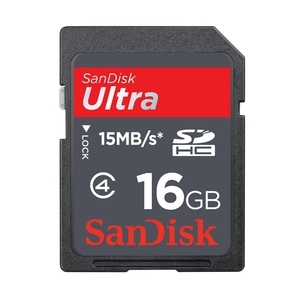 The SanDisk Ultra SDHC/SDXC UHS-I Memory Card is backed by a lifetime limited warranty. Great product. Was recommended this from two different sources. Does what it says on the packaging. Has worked OK so far but who knows for the longevity?